You may already know that you can watch full-length feature films on YouTube, for free. But as Mark Hachman pointed out, a lot of these movies are up there illegally. Almost every movie made in the last 90 years is still under copyright. But not all of them. Due to bureaucratic errors on the part of producers and distributors, a lot of movies slipped through the cracks and lost their copyright. That puts them in the public domain, where anyone can do anything to them. A lot of public domain flicks are garbage, but not all. Some of them are very good. A few are masterpieces. I’m going to recommend five not only available on YouTube, but available in good enough transfers to be worth watching on a large HDTV, although none of them come up to Blu-ray quality. Surprisingly, films can drift in and out of public domain. For instance, Frank Capra’s classic It’s a Wonderful Life was in the public domain for decades. Then Paramount bought the rights to the music and the original story. Effectively speaking, Paramount now owns the film, so I’m not including It’s a Wonderful Life here. I’m also not including any silent films, even though I’m a big silent film fan. Even if the movies are public domain, the music scores that accompany them on video are not. These were recorded decades after the films opened, usually for home video release. One technical note: If you’re watching the movie through a browser, be sure to click the Settings icon and select the highest resolution available. Suddenly, without explanation, dead people are coming to life. They’re slow, very close to brainless, and in many cases visibly rotting. But they’re appearing in vast numbers, hungry for the flesh of the living. Sit back, relax, and prepare to go into shock as you watch one of the scariest and most influential horror movies of all time. 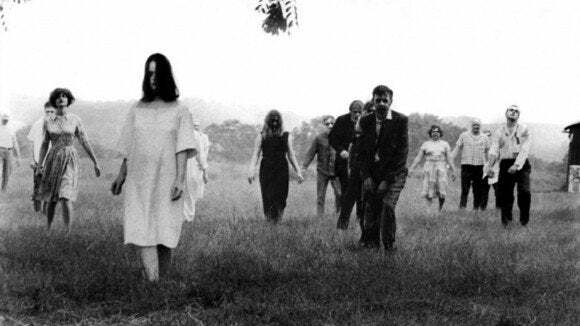 If you’ve ever enjoyed a zombie movie, you have Night of the Living Dead to thank for it. Directed by George A. Romero and released in 1968, it created the genre, even though the word zombie is never spoken in this film. The action takes place almost entirely in a small, deserted house near a cemetery (not a good place to be at the moment). A handful of desperate people hold out there, hoping against hope that help will come in time. But if there’s one thing you won’t find in Night of the Living Dead, it’s hope. You can find a lot of Night of the Living Dead streams on YouTube, many of them colorized. But I recommend the original black-and-white film in this excellent HD transfer from Tobatto2287. Director Howard Hawks took a successful stage comedy, The Front Page, switched the gender of a lead character, and created one of the great screwball romantic comedies of all time. Newspaper editor Walter Burns (Cary Grant) will do anything to get back top reporter (and ex-wife) Hildy Johnson (Rosalind Russell). He uses a big story—a possibly innocent man about to be executed—to fire up her love of the job, and hopefully her love for the editor. The comic dialogue, brilliant even on the page, becomes even funnier with Grant’s and Russell’s astonishingly rapid-fire delivery. And the approaching execution adds a serious layer below all of the sparkling comedy. 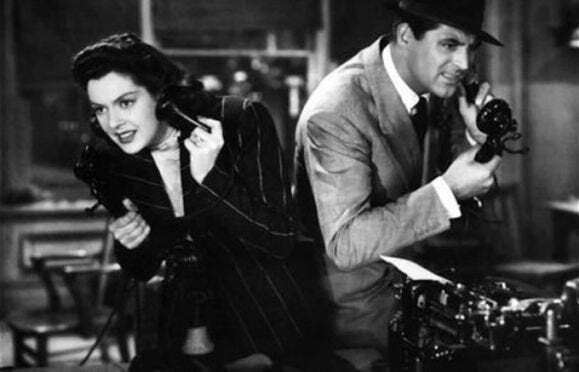 I couldn’t find a really good transfer of His Girl Friday (1940) on YouTube. This standard-definition version from collegelaffs, although a bit soft, is acceptable, even on my 50-inch screen. How does a woman just disappear on a moving train? And why does everyone insist that she was never there at all? 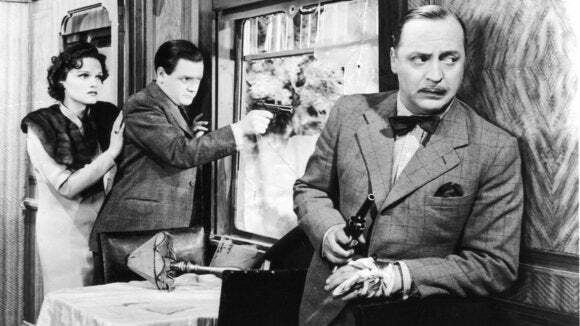 The Lady Vanishes (1938) starts out as a comedy of manners, then turns into a mystery before blooming into the sort of thriller that made director Alfred Hitchcock the Master of Suspense. It’s not as thought-provoking as some of his later work, but one of his most entertaining movies. 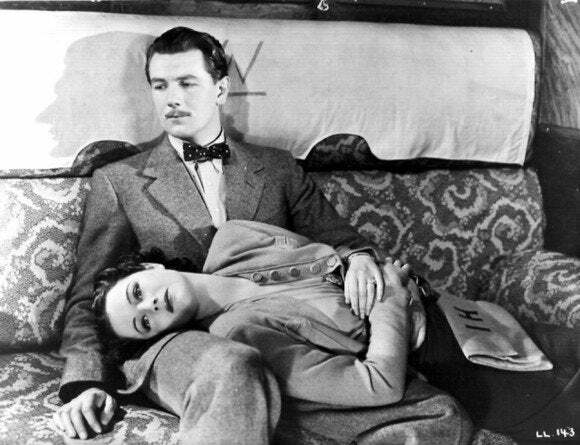 There’s considerable controversy about whether The Lady Vanishes and Hitchcock’s other British films are actually in the public domain. They definitely were 15 years ago, but recent changes in British copyright law have muddied the waters. This reasonably good HD transfer (720p) from Vintage Movie Archive is a bit soft at times, and of course it doesn’t approach the quality of Criterion’s Blu-ray release, but it’s generally quite good. If you think of John Wayne as a violence-loving, right-wing warmonger, you’re in for a big surprise. 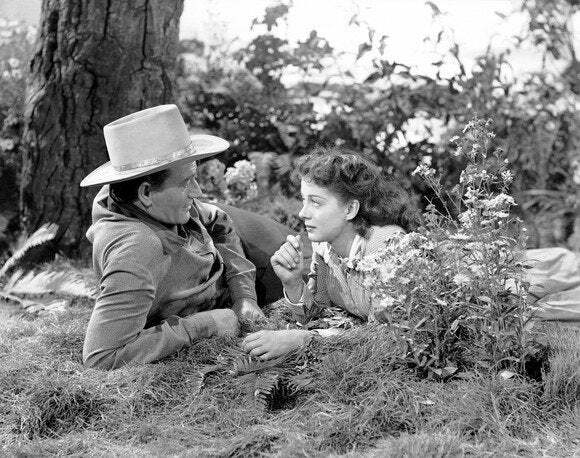 His first film as a producer, and thus, his first with a degree of creative control, is a surprisingly pacifistic western directed by James Edward Grant. Wayne plays a notorious outlaw who falls in with a Quaker family—and falls in love with the family’s beautiful daughter. Much of the story concerns his slow and uneven accepting of a way of life very different from his violent and paranoid past. Which isn’t to say that Angel and the Badman (1947) lacks action. It contains cattle rustling, a barroom fight played for laughs, and a thrilling chase. The film was made on a relatively modest budget, and it shows. Despite some scenes shot in Monument Valley, this western lacks the majestic, epic sweep of John Ford’s work. This HD (720p) transfer from Public Domain Video is very good, up to the quality of HD broadcasts. The crime goes off perfectly, and an innocent bystander takes the rap. But when the bystander is released for lack of evidence, someone is going to have to pay. This tight little film noir provides all of the thrills that the genre promises. You’ve got a hero who isn’t all that good, villains who are evil to the core, and a beautiful dame who’s also smart. Directed by Phil Karlson and beautifully edited to increase suspense, Kansas City Confidential (1952) contains some wonderful set pieces. 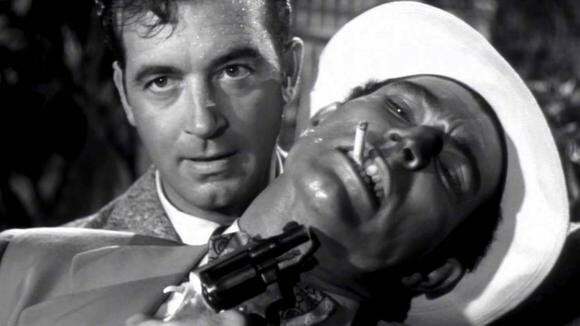 Consider the scene where a vicious crook must decide whether to use a gun or throw it away. Either way, it’s not going to be good for him. Don’t expect to see much of Kansas City. Most of the story is set in a small Mexican tourist resort. YouTube has a very good HD transfer, also from Public Domain Video. I wouldn’t want to see it on a 50-foot screen, but for 50 inches, it looked just fine.